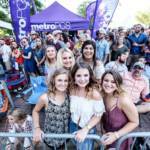 The Red Dirt BBQ & Music Festival, presented by Hyundai of Longview, has for five years proven to be one of the most dynamic, unique food and music experiences in Texas. The sixth annual event returns to the brick streets of Downtown Tyler, Texas, on Saturday, May 4, 2019. Finally an event in Tyler worth looking forward to! Just keeps getting better! My first time going & I had a blast! VIP tickets, got to stand right by the stage. The artists all put on an awesome show. All of the food was amazing. Will def be coming back next year! I have been every year and love it every year! Delicious BBQ and amazing music! Best event in Tyler! Can't say enough good this event, the performers, the sponsors and the BBQ vendors! The food was excellent and the entertainment was something you'd expect from the great state of Texas - top notch! Sign Up For Red Dirt Alerts! 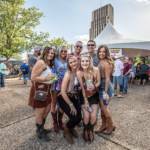 Red Dirt BBQ & Music Festival has proven itself to be one of the most premier and unique music and food experiences in Texas. 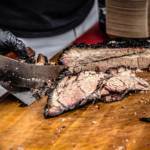 The festival takes place on the brick streets of the downtown square in Tyler every May, featuring more than 20 of the most celebrated barbecue restaurants in Texas. 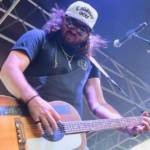 Music happens for nearly 12 hours on two stages, with the main stage highlighting the biggest names in Texas and Red Dirt Music.